Keeping the original intent of this blog, today's photo from yesterday's challenge displays a creative example of a small change making a big difference. For the past 6 years I have worked for the same company which requires it's employees to wear name badges on a company-issued lanyard. As I am very active at work this lanyard is constantly flapping around getting caught on objects and is a general nuisance. The standard clip that attaches the name badge is the worst offender due to the metal tabs you pinch together to open it (I have no idea what the technical term is). After years of frustration I finally had the idea to do something about it. I changed the clip -- a super simple solution that I embarrassingly never thought of previously, of course neither had any other of my co-workers. During November and December we wear holiday lanyards so I had to switch that clip as well, which is the one photographed. I also adjusted it's length by taking apart the safety release, trimming the fabric and putting it back together. 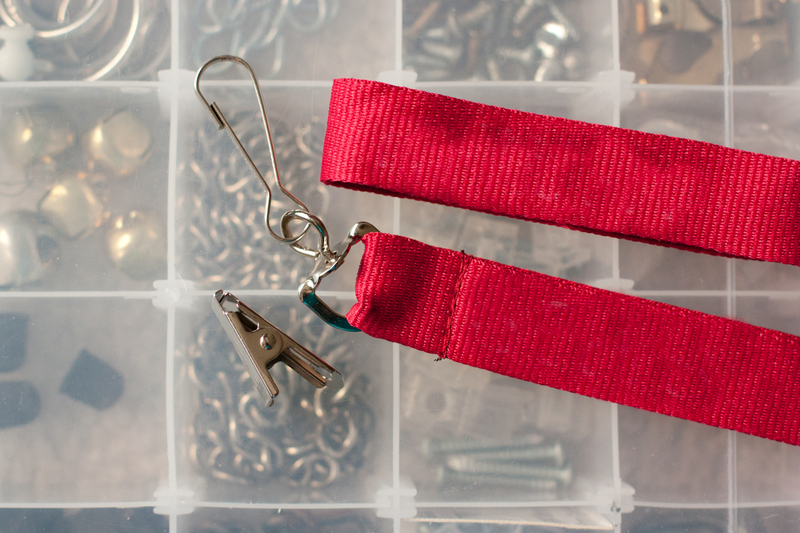 My photo of the day shows my replacement clip attached to the lanyard next to the original one removed. I did some rough cloning to remove the company name. I am proud of my easy fixes and it makes a significant difference in my daily performance.